In California — particularly here in the Bay Area within GO’s Oakland and West Contra Costa communities — the vast majority of us are on team public education. That is, we believe that quality public education — our collective public investment in our children and other people’s children — is the path to opportunity and has the potential to interrupt historic and longstanding inequities in our communities and country. In the eight years since I joined with teachers, families, and community members to found GO Public Schools, we’ve stood for — and taken action for — equality of opportunity. That means equality of opportunity for every student, regardless of her religion, gender, race, sexual orientation, disability, nation of origin, home language, family income or neighborhood. The catastrophic pitfall at this moment, as I reflect on the last few weeks and the debate about the nomination of the now U.S.Secretary of Education Betsy DeVos, and frankly even our community’s local school board campaigns last fall, would be that those of us on the public education team allow this most polarized of moments in our country’s political history to further divide us. That we only see our local work and relationships through the prism of the largely rhetorical debate about charters and choice, rather than keeping our eyes and intention focused on the opportunities we have right here in the Bay to do things differently and better in service of all students. #1 Commitment to acknowledge the depth of our current system’s shortcomings. 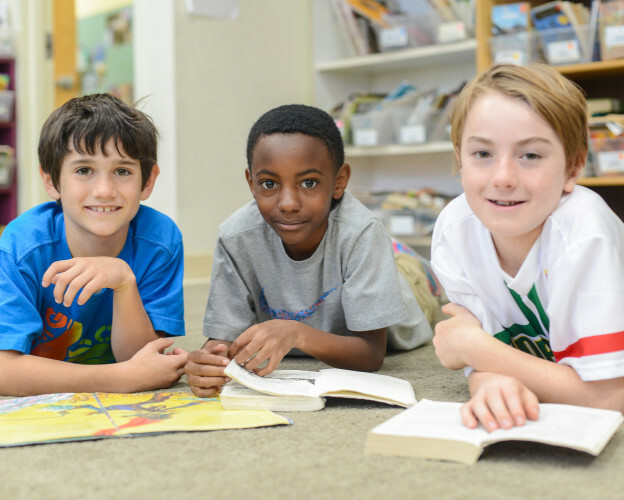 GO’s recent report on student outcomes in West Contra Costa found that just 1 in 5 of our low-income students is reading on grade-level by the end of third grade — a critical year for transitioning from learning to read to reading to learn. 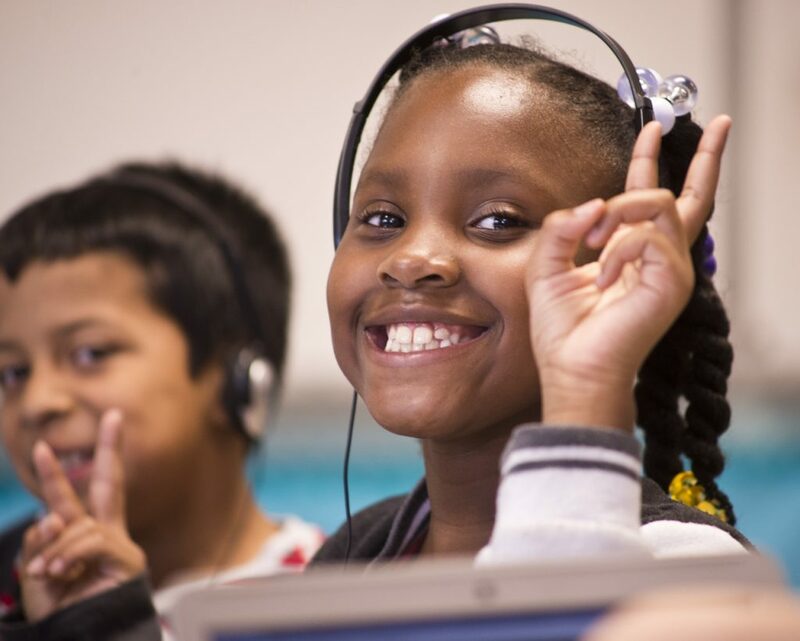 And in Oakland, only about 1 in 4 of our middle school students is meeting standards in math. Results like this — too common in urban school systems — are simply not acceptable. And we all know it. What would it look like for diverse leaders from district, charter, labor, civic, business, faith, and community organizations to truly develop shared commitments to innovation and change in service of students? The vision and process developed by Education Reimagined might be a model of diverse leaders coming together to listen, learn, and shape a shared vision that we here in California could look to. #2 Commitment to build new coalitions on behalf of students’ education and civil rights. This historic moment requires that we collaborate in new ways, form new coalitions, and repair and strengthen damaged relationships. Our shared commitment to children and the idea of quality public education as the foundation of our representative democracy, healthy communities, and a thriving economy demands nothing less of us. As others have put it far more eloquently than me (examples here, here, and here), statements from members of the current federal education administration raise profound concerns about their understanding of public schools as well as their dedication to meeting the needs of our most vulnerable or historically underserved children and families. In this time, it will be up to us — team public education — to ensure that we stay committed as a nation to expanding equity and opportunity in education for all students. At GO, we stand ready to partner with you to fight any action that hurts our students or communities — whether it be cutting Title I dollars for public schools in low-income communities to fund private-school vouchers, weakening supports for students with disabilities, decreasing accountability for public schools — charter or district-run, promoting for-profit charter schools, removing protections for our DREAMer students, or weakening enforcement to end discrimination in schools and protect the civil rights of each and every student entrusted to the care of our public school system. #3 Commitment to local impact and follow-through on commitments we’ve already made. How incredible would it be if we could harness the outpouring of passion and effort team public education made to denounce Secretary DeVos and focus that energy and commitment to support local classrooms and school transformation efforts? Our children and communities deserve robust dialogue and pragmatic, solutions-oriented leadership to meet the opportunities right in front of us. Both the nation’s new education law, the Every Student Succeeds Act, and California’s Local Control Accountability Plans put more authority and responsibility in the hands of state and local decision-makers and communities. 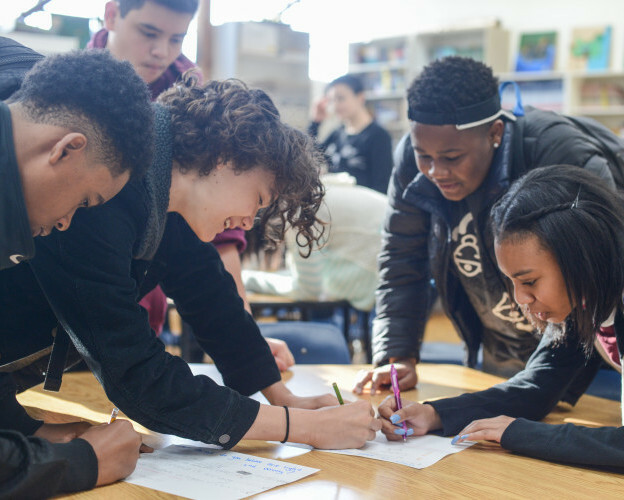 We have the power and opportunity with this spring’s local district and school budgeting processes to better target resources and programming to meet the needs of vulnerable student populations including low-income students, students of color, students with special needs, English language learners, and foster children. Nothing should hold us back from demanding that our education leaders provide evidence and data regarding how many children are served and to what impact by various investments. 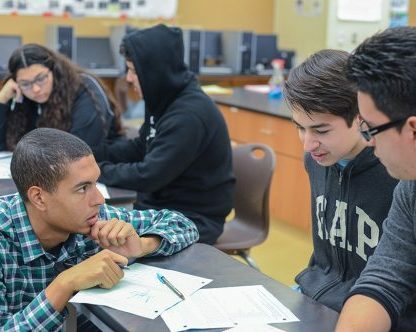 For example, in 2014, Oakland voters passed Measure N to raise $120 million to transform students’ secondary school experience through college preparatory career pathways. As a community, we need to stay focused: How many more students have access to career pathways? How are we measuring program quality? How is this affecting graduation rates and college eligibility? What are students saying about the programs? How are educators transitioning into working in the pathways? What local businesses, industries, colleges, and universities are engaged? What is district leadership learning? What will we do differently next year? Our deep and sustained effort in regularly asking and answering questions like these about the priorities we establish could move our system forward dramatically. With new Superintendents in both Oakland and West Contra Costa, this spring’s district goal-setting and budgeting processes are critical opportunities to clarify our goals and strategy for better meeting student needs. Public education family, this is a time for courageous, vigorous, and positive action together. And as we take action, we hope that you will make these commitments and join us in the work to ensure equality of opportunity for all students and families. To learn about upcoming opportunities to partner with us, sign up for our Oakland and West Contra Costa newsletters.